Consists of tray panels area uniformly punched with holes hence is the cheapest mass transfer device because of simplicity and cost-effectiveness. 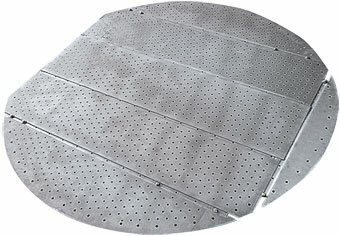 Sieve tray usually provides about 10% open area with 13 mm holes diameter and when low turndown is required. This tray is the most economical choice.